Here at our dealership, we offer a complete lineup of quality Honda vehicles to choose from. No matter what style you are looking for, we are sure to have something that appeals to you. Whether you are searching for a reliable Honda Civic, a spacious Honda Pilot, or a durable Honda Ridgeline – our professionals are ready to help. We take pride in being a Texas dealer that offers top-notch vehicles for a great price. We encourage you to take a look at our new vehicle inventory. You can schedule a test drive by contacting a Fernandez Honda sales professional at (210) 928-1500. We are here to help you! Are you looking to purchase a used vehicle? Our dealership has great options available for you! We offer a large collection of certified Honda vehicles and one-owner vehicles. Therefore, we are confident that you can find the used car that you are searching for! Visit our San Antonio dealership to have an up close look at the vehicles we have available. Our sales staff will work hard to get you into the best vehicle to accommodate your needs. Experience an affordable monthly payment on your new vehicle when you finance at Fernandez Honda! We offer exceptional auto loan opportunities that are available for drivers across Texas. When you take advantage of these loans, you can have your Honda paid off in no time! It doesn’t matter if you have good credit, bad credit, or if you have yet to establish any credit history at all – we would like to work with you. Our finance professionals will strive to meet your needs and find the loan repayment plan that is best for you. Therefore, we can further ensure that you leave our dealership in a vehicle that you are satisfied with. Stop by our finance center, and let’s discuss the loan option that works for you. When your Honda requires a maintenance or repair service, you can’t afford to take it to just any service center. Bring your vehicle to our service department, where we employ technicians that you can trust. Our certified team is knowledgeable about how to properly care for your Honda. We will do all that we can to make sure that when you leave our service center, your vehicle’s performance is up to par. Schedule an appointment at our dealership, today! 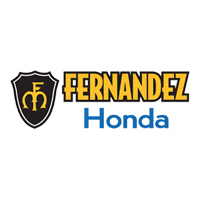 You can also find quality auto parts and accessories at Fernandez Honda. We offer various manufacturer-approved vehicle parts at great prices. Therefore, you won’t have to break the bank or search high and low for the parts that your Honda needs. You can purchase them from right here before your schedule service! Visit our San Antonio dealership to ensure that your vehicle is maintained and repaired the right way. For a large selection of new Honda models, plus the quality auto service your vehicle deserves, Fernandez Honda in San Antonio, TX is the place for you!